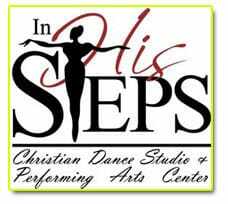 “In HIS Steps” is a contemporary, Christian-based Dance Studio and Performing Arts Center offering professional instruction in ballet, pointe, lyrical, tap, hip-hop, Jazz, modern, contemporary, and all-boys classes. We also offer voice, piano, guitar; both private and group sessions. Our mission is to teach our students to reach the world with the gospel through the arts and to teach them how to use the arts to glorify, honor, and praise our Heavenly Father.